Next generation embeddable workflow engine for .Net developers. "Building FlowWright into a business risk management product"
FlowWright is an extremely flexible and high quality product. We applied it as the center piece of a business risk and third party management product line. The graphical flow designer, powerful step library, and high-performance execution engine combine to provide a simple to use but extremely powerful system. There isn't much to dislike in FlowWright. If I must identify something then I would say that the current UI needs to be "modernized" in both technologies and overall design. This is coming in a future release and really isn't a major problem but it does detract slightly form the overall product. In our case, we were adding FlowWright to our overall third party management problem. 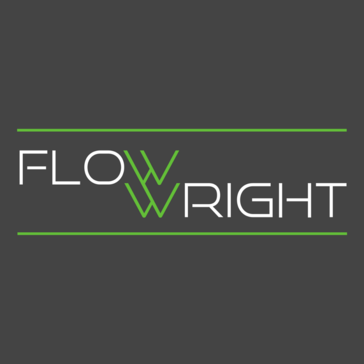 We needed to add business process management to our product line and FlowWright was the quickest, most cost effective way of adding those capabilities. "Great Product for Executing IT Go Lives or Plant Shut downs"
The product is really quite intuitive. The work flow tool set is very extensive and its template capabilities allow for rapid replication of tasks and work flows. The Flowwright team's commitment to supporting and growing their product is very impressive. The current version does not have support for planning built in. It is hard for people to grasp schedule and time from the work flow itself. There are BI reporting capabilities that calculate time from the work flow. These reports do help. But, I did end up planning the go live in MS Project and building the work flow off the MS Project Plan. Coordinating and executing an ERP go live. Communicating and coordinating an ERP go live across multiple sites is a challenge. The Flowwright tool provided me. "Great bang for the buck and improving quickly"
The API level controls, pricing, responsiveness to issues and overall improvements. The Designer is buggy with version 9.1.0.7 but reportedly improved in the recently released 9.3 version (which I have not yet seen). Try it out. It is seems to work, as long as Dileepa is with the company, you will benefit. We are able to use this underlying technology to provide automated and semi automated repetitive processes for solutions in the long term care industry. "Fast, efficient and great value for the price"
The team is the main reason we were able to make the change to FlowWright. The team is responsive and capable to answer all questions as well as to come up with viable solutions. The design canvas has some issues. But it is functional and the end users (those who benefit from the processes) never experience any issues on the design canvas. Working in the highly regulated healthcare industry, FlowWright enables our products to dramatically reduce user errors and mundane tasks. "Flexible and Visual Process Management"
Visualization of processes; ability to use preset steps and the flexibility to create custom steps. * We monitor all FlowWright reviews to prevent fraudulent reviews and keep review quality high. We do not post reviews by company employees or direct competitors. Validated reviews require the user to submit a screenshot of the product containing their user ID, in order to verify a user is an actual user of the product. Company: Innovative Process Solutions Inc.
Hi there! Are you looking to implement a solution like FlowWright?